I love the holidays. It’s a time for sharing, caring, and remembering those that are no longer with us. When I think of the holidays I think of a magical time of year, when you get everything you want, and celebrate life with the people you love. What makes the holidays so special can also equate to tons of holiday stress. During this time of year, expectations are high. The period that is meant to be the happiest time of the year can easily become the most stressful time of the year. Planning dinner parties, getting the right gifts, dealing with mall traffic (I hate dealing with mall traffic), ending the work year, all can contribute to extremely high levels of stress during the season. 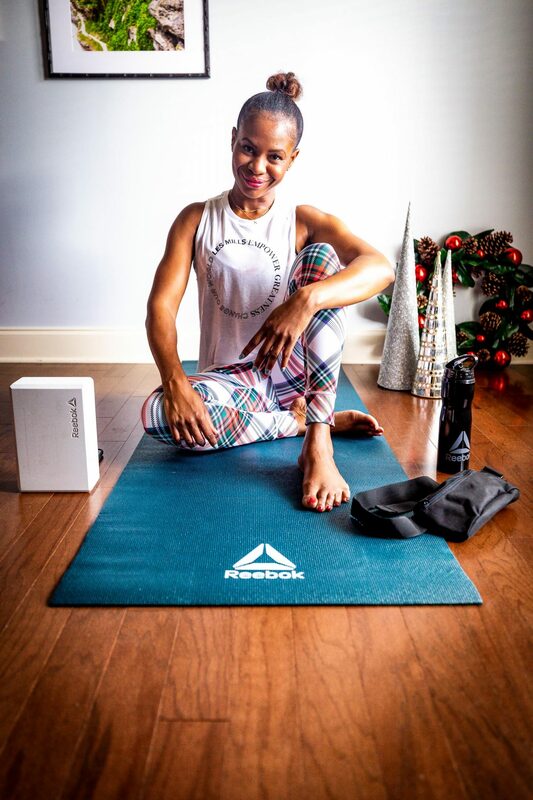 That is why I have partnered with Reebok to get me holiday ready, and ensure that my family and I have the best holiday ever! I haven’t always been a big yoga fan however I find that nothing tends to lower my stress levels better than doing a series of ashtanga sun salutation. Pilates have always been more of my thing, however ever since a workout instructor introduced me to yoga, I haven’t looked back. I tend to do yoga once a week at home and find it to be so relaxing. 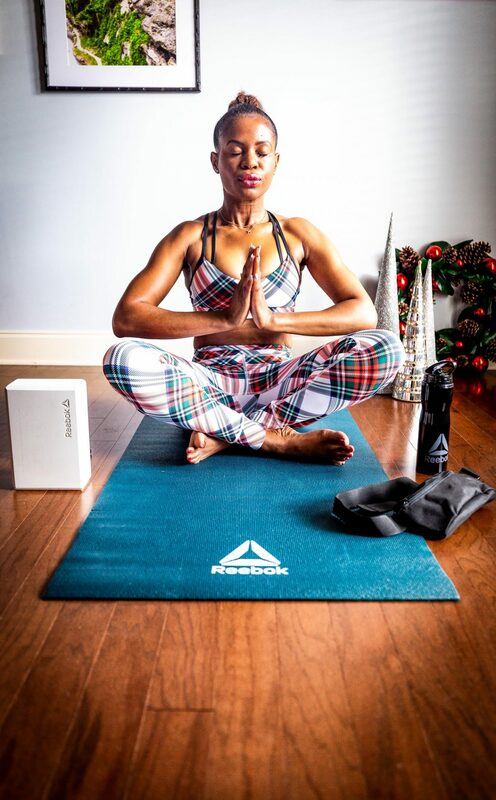 To ensure I am not overwhelmed by all my work and personal obligations this holiday season, I will be increasing my yoga sessions, and doing it with all this cool yoga gear from Reebok. If you don’t have a ton of time to commit to 1 hour yoga sessions at a studio or at home, try doing these 15 moves for less than 20 minutes. This holiday season literally snuck up on me. I usually done before November hits, however that is not the case this year. I have found myself overwhelmed with work, leaving me with little time to get all my shopping together way in advance. It’s not too late to get your plan the next few weeks before Christmas is upon us. I got my kids to write a list of 5 things they want and told ensured them that they would get a least 3 of the five items on their list. Right under Bey Blades toys, and a Barbie Dream House were sneakers. The Reebok classic leather Ripple sneakers are a stylish flare on the brand’s iconic sneaker and a gift I know my kids will love. I even got a pairs for my husband and I hence we will be twining and winning in our matching sneakers on Christmas day. This holiday season has undoubtably been my busiest time of year ever. Not having an assistant makes tackling work and family life even harder. After having an extremely hectic October and over booking my November, I decided to black-out an entire week in December. This time-off will afford me valuable time with the family, and friends. That means no sponsored post and I might even delete all social media apps to ensure that I stick with this. Because I work in social media, it tends to be difficult to separate social media for play and work, but I also know how demanding blogging can be hence take this time is necessary to stay zen. Not only will I use these tips to ensure I have the best time this holiday season, but I hope you will too. 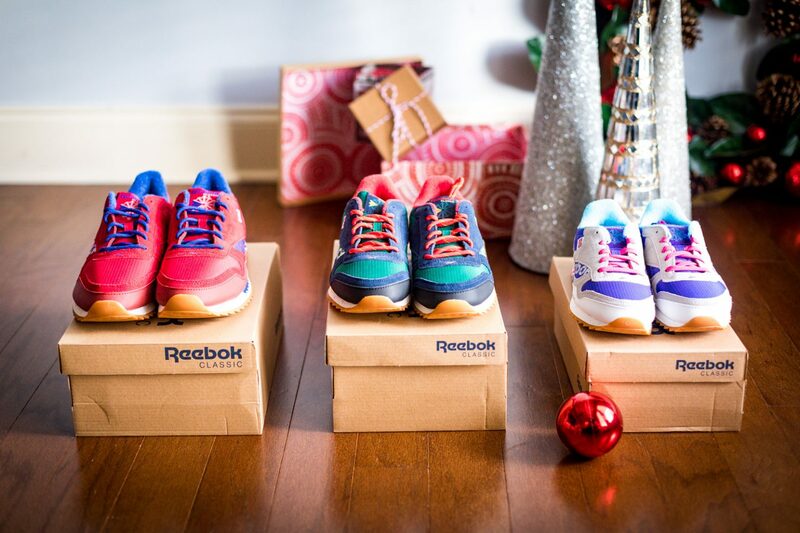 Be sure to shop all my amazing gift ideas from Reebok and have the best stress-free holiday season ever!